Best Smartphones of year 2015 is the topic of the day. 2014 has just passed gifting us such an awesome tech market, with number of new technologies that began a new smart phone culture all over the world. 2014 witnessed the release of many amazing technologies like Samsung Galaxy S5, Galaxy Note 4, Apple’s iPhone 6 and 6 plus and many more amazing smart phones. But don’t worry! This just arrived year isn’t bad at all. In fact, it has lot more for you, much advancement. But tech geeks are curious to know what all can they expect from 2015 in terms of smart phones and technologies. So we just thought of helping you bit by bringing a list of 3 smart phones, which are likely to prove themselves the rulers of tech world by grabbing the top-most position in the tech world. These three smart phones are: Samsung Galaxy note 5, Apple’s iPhone 6s and Sony Xperia Z5. This all time leading dynamic smart phone manufacturing firm – Samsung is ready to make a return entry in IFA 2015 with its Galaxy Note 5, which is certainly going to reach the top level. This is not a new thing to say about Samsung who has always been the leader of smart phone world…you agree with that!! Right?? This is obviously going to come with more advanced technologies than Note 4. Its camera is one thing among many that is going to make you crazy! Galaxy Note 5 is going to have the back camera of 19MP and its going to surprise selfie lovers too with a front camera of 4.7MP. Okay! So this is not the end of the story. There is much more to add on to your craziness. Pondering what more?? Okay we won’t keep much suspense. 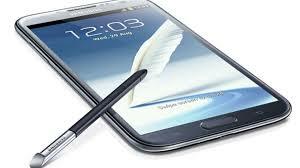 Galaxy Note 5 is going to have an amazing and better display – a super AMOLED screen of 5.9 inches with 4k resolutions. Isn’t that amazing!! Another attracting feature would be its faster 64 bit processor running at the speed of 3.2 GHz. Not bad right?? Just to give you another good news, now you don’t need to be too cautious for your phone at every step. 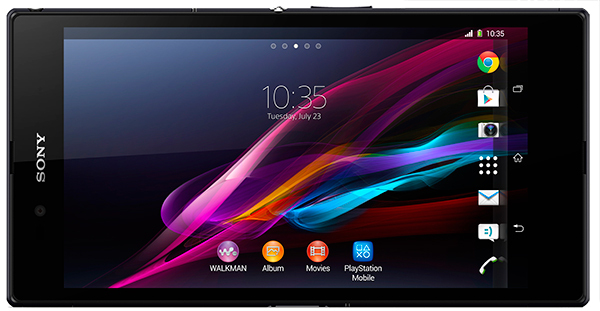 It can protect itself on its own with water resistant and dust resistant technologies. And and improved experience of S pen is going to act like cherry on your cake. What else could you ask for! !There are many other features but keep your patience till its release in September. While talking about the best smart phones in the tech market, we certainly can’t skip Apple. Another top seller of smart phones who always shares the same top position with Samsung. 2014 was a blessing for us when we received two smart phones by Apple – iPhone 6 & 6 plus. This year, in 2015 iPhone 6s is going to become heart throb of many tech geeks. We have already seen Samsung and Apple always being the best in the market and always favorite of every one. But did you ever wonder if others could also reach that level?? If not, then think about it this time because according to tech experts Sony Xperia Z5 is also going to rock in the market. It has inculcated lot-improved features in itself, which might take it to heights. Z5 is going to offer you an amazing RAM of 4GB which is really new for Sony and its quite amazing too as it will decrease your pressure of working whole day on laptops or carrying it everywhere. There are obviously many other amazing features but most amazing among them is its storage capacity. Make a quick guess !! what could it be?? 32 GB?? No? Xperia Z5 is going to have an on – board memory of 128GB which is going to end all your storage capacities. Its other features would include improved processor, battery, awesome camera etc. all of which you should try on your own. So let’s cheer up and wait for the blessing we are going to have this year in the form of Best Smartphones of year 2015.